Heidi's Happy Banks - "Banks"
He also has Black Color. Started out so Black he was Blue. 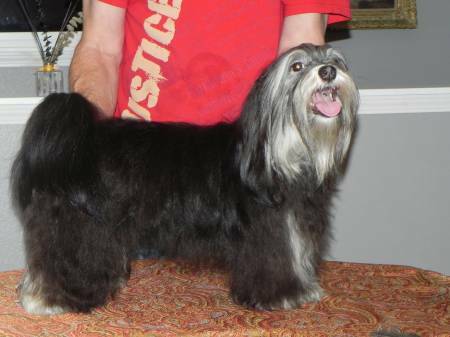 Then Half of body turned Havanese Red, leaving him Black red and silver. Very sweet disposition!